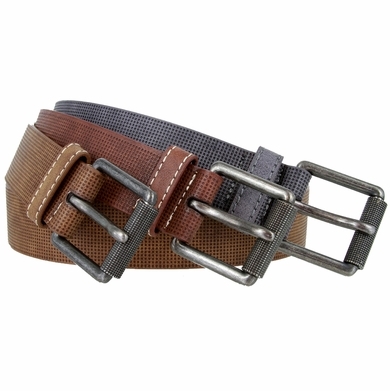 LA2046 Stippled Genuine Casual Leather Belt. 1-1/2" = 38mm wide Bonded Leather Belt. 5 Adjusment holes for comfortability. Stitched Antiqued Nickel Plated Roller Buckle and Keeper. Belt measurement from the fold where the buckle is, to the tip of the center hole.